Niles Jacklin was born Oct. 29, 1936, in Lindon to George J. Jacklin and Mae Thorne Jacklin, and he died Nov. 3 after losing his battle with pancreatic cancer. Growing up in Lindon, Niles was honorably discharged from the Army and then worked for the Boeing Minuteman Missile Program until his retirement. One of his proudest life achievements was serving the Santa Maria (California) Elks Lodge as Traveleers Wagon Master, Exalted Ruler (1986-1987), as well as achieving the first award for Elks All American Lodge and head of Elks Rodeo ticket sales for many years. 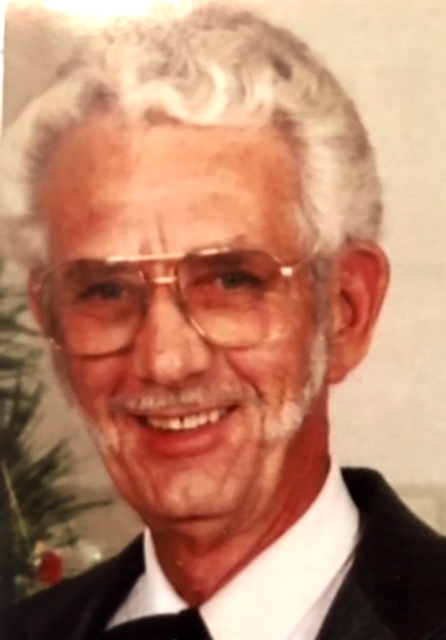 He retired in Santa Maria, then moved to Southern Utah, spending the last years doing what he loved: golfing, fishing, camping RV style and hunting, making his home in Toquerville and Antimony with his second wife, Elsie Bowman, who had three grown boys and two grandchildren. He was widowed in 2009 and continued to live in the home he and Elsie built in Toquerville. While rebuilding his home after a fire, Niles passed away on Nov. 3, 2017. He is survived by four brothers, Harold, LeRoy, Ray and Milton; his first wife Shirley Olson Jacklin Burke and their three children, Steven Niles, Dennis Carl and Sherry Lynn Jacklin; along with three grandchildren and two great grandchildren. He was predeceased by his parents and his brother Eldon. He is loved and will be missed by many. A celebration of life for Niles will be held at his nearly finished home at 73 S. Ashcreek Dr., Toquerville, Nov. 11 at 2 p.m. for those who would like to attend.